WIX Racing’s Adam Morgan has joined the list of current BTCC drivers to be invited to the world famous Goodwood in 2016. Race-winner Morgan will contest the Gerry Marshall Trophy – named after the former saloon driver and cult hero – during Goodwood’s 74th Members Meeting in March. 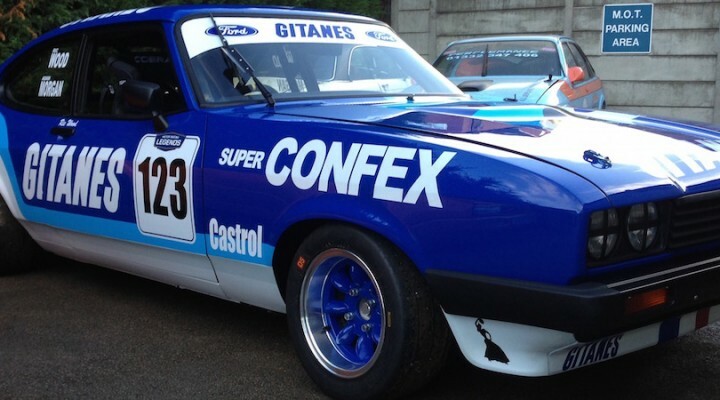 The Ribchester Rocket will race Ric Wood’s immaculately prepared rapid CNC Heads 1980 group 1 V6 Ford Capri, which is sure to spark memories of yet another evocative BTCC era. “I have been to see the car and Ric’s set-up, both are absolutely mind blowing,” commented an excited Morgan. “All the cars that Ric builds are of the very highest quality. The Capri that I am racing went to Portimao earlier in the year and Ric finished second straight out of the box. The Capri is a stunning no expense spared object of beauty. “The car has over 300bhp, hits close to 150mph and reaches 70mph in first gear! My biggest concern is being quicker than Ric as he’s a highly competent driver – beat your team-mate they always say! “I like the way Adam conducts himself both at and away from the track,” responded Wood. “He drove my V6 Mazda at the Silverstone Classic in July, and he not only won the class but also broke the existing lap record. Morgan’s Ciceley Motorsport squad have been hard at work preparing for the 2016 BTCC season too, having tested the Mercedes A Class a number of times before Christmas. The team have another extensive testing programme planned in the New Year and they’ll be launching their latest livery at Autosport Show International – see btcc.net for details on this over the coming days.